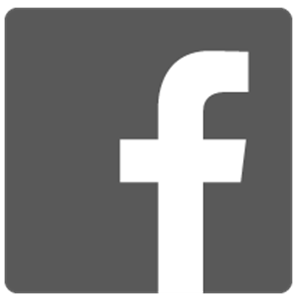 Ask Mandy Q&A – Should I Advertise on Facebook? Chatter about it not being worth it. All you get are fake likes. It’s just a scam by Facebook to make money. Should I spend money to advertise on Facebook? A video was posted earlier this year, called “Facebook Fraud.” The video creator talked about how his Facebook ads gained likes, but the likes were from foreign countries and it was essentially a waste of money because the engagement was zero. However, he failed to share his targeting options and the examples he used were over a year old. If you have kept up with anything pertaining to social advertising either here or elsewhere on the web, you will know that A LOT has changed in the past year. Facebook advertising specialist Jon Loomer published the best rebuttal to the video. You can read it here. I’m here to tell you that yes, you should spend some money and advertise on Facebook. With Facebook’s organic reach declining advertising keeps your message out there. Whether you promote a post or run an ad in the newsfeed, you are out there. However, use promoted posts carefully – if someones sees something too much in their feed, they will unlike or hide the page. I once saw a social media professional promote a post asking how everyone’s day went. Seriously?!?! You wasted money on THAT? That is an example of not using promoted posts carefully. Facebook ads are more affordable than traditional advertising. You can run a series of 10 ads roughly half the size of my quarter page ad in my local paper for $1,200.00. Yes, over one thousands dollars for a paper that has a circulation of 8,000. Doing the math I am paying $1,200.00 for 80,000 views, if everyone sees it. I can run a Facebook ad for 10% of the traditional ad cost and get roughly the same number of views. Of course, a lot depends on the targeting of the Facebook ad. Facebook ads are easier on your advertising budget, especially if you are a small business. You can specifically target those with whom you want to do business. No other advertising option out there, traditional or digital, can give you the targeting options Facebook can. This also controls the quality of any new fans. You can track and see the results. No other form of advertising will tell you exactly how many people saw your ad. Or clicked on the links. Or liked you because of it. Traditional advertising can guesstimate, but it’s rarely accurate (unless you have a coupon for them to bring in). It’s amazing to see the results of your ad and be able to measure the ROI of it. Facebook advertising is definitely something to try if you have not already. You will see results. If you do advertise, do you think it’s worth it? 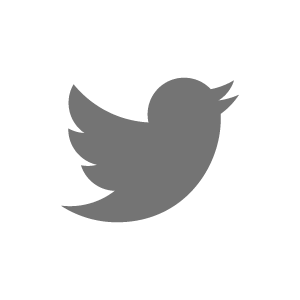 Ask Mandy Q&A – When Should I Post on Twitter? Twitter is such a popular network for mobile users that it can be a bit tricky to lock down exactly when the best time to post is. The majority of Twitter primarily use a mobile device—rarely loading up Twitter on their desktops. Tweets with image links get 2x the engagement rate of those without. Tweets with hashtags get twice as many retweets. When’s the Best Day & Time to Post on Social Media? 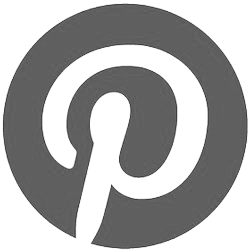 Ask Mandy Q&A – Is Google Plus Worth My Time? To use Google Plus or not use Google Plus. That is the latest question. Is Google Plus worth my time? Anyone who actively uses Google Plus knows that one, it’s not dead, and two, there is still a lot of value in using it. There are so many great, quality articles published on Google Plus everyday. For businesses using social media, two of my favorite people to follow for great content are Mike Allton and Rebekah Radice. I could give you many more names, but start with these two. I have found that Google Plus provides me a great opportunity to discover and share content. With the larger graphics and blog-like updates, the statuses on Google Plus are much more detailed and provide more value to the reader. Yes, you can make connections anywhere on any platform, but I’ve found I can develop more quality connections on Google Plus than on Facebook. There are people on Google Plus that I have followed on other platforms, but it’s here that we’ve really gotten into discussions and learned more about each others’ business. If you are using this for your business, this gives you the opportunity to really reach out to your community in a more detailed way. Added bonus – there’s not the drama there is on Facebook. Google Plus’ Hangouts on Air are a great way to broadcast your business on the web. Imagine having your own TV show or video series. With HOA, you can make these private or public plus they are easily integrated into YouTube for later viewing. I’ve participated in a few and watched many and this is a great bonus to using Google Plus. Added bonus – you can have your name and logo along the bottom, just like on any of the news shows on TV (yes, I know this is simple, but it’s really cool). Despite the fact your picture does not show up in the search results anymore, Google Authorship is still important. Google Authorship links your original content with your Google Plus profile building your authorship within the search engine. This helps you build credibility as an author in Google. Anyone who blogs needs to have this set up. You can read more about Google Authorship here. I highly suggest that everyone use Google Plus – it’s a great forum for these reasons and them some. 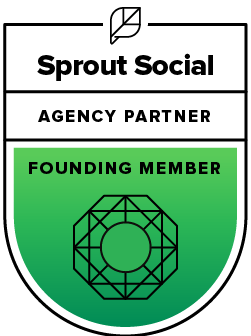 How do I build a social media strategy? Social media has become an integral part of today’s marketing landscape. It is something all businesses need to take part in or they will be the odd man out and who really wants that? Once you’ve decided that you want your business to have a social media presence, you have to figure out how to best use it to your advantage. That is where a social media strategy comes in. Some businesses choose to hire a social media manager to handle it, however many businesses want to do it themselves. Either way, here are some things to consider when you set up a social media strategy for your business. 1: Figure out the WHO. Think about who your ideal client is. Who is your most popular type of customers – moms, businessmen, college students? Figuring out who your audience is, is the first step. 2: Figure out WHERE they are online. Take a hard look at that target audience. Are they stay-at-home moms who spend a lot of time on Facebook? Are they business professionals who are on LinkedIn a lot? Once you decide where your audience is, that is the platform you should start with. If you find they are on more than one platform, start with the strongest and then add in the second one. There is no sense is being active on every single social media platform if your target market/audience is only on one or two. You do not want to spread yourself thin. I suggest concentrating on doing one or two platforms and doing them well. Side note: If you are targeting teens, you may want to give Instagram and SnapChat a good look – this is where they are going. 3: DEFINE your goal in using the chosen platform(s) to connect with your audience. Ask yourself what do you want to get out of your social marketing efforts – sales? Brand advocates? Increased engagement & relationship building? How you use your social media will really come from this. If you want to increase sales, for example, you would want to take advantage of Facebook offers or holding a contest. If you want to increase engagement, you would want to post questions and images that will generate a response. Your goal is like your compass. Everything you do should point you to that goal. 4: DEVELOP A PLAN to get there. Now that you have your audience identified, your platforms picked and your goal set, now you have decide what you are going to do to get to that goal. This step goes hand-in-hand with step 3. Often these are done at the same time. You definitely want to be active and post at least 2-3 times per day. Contests, tips, question & answer sessions and sharing information are all types of content that will help you achieve your goal. You need to ask yourself – how many times am I going to post? How much time do I/can I invest in this? This is where all of the previous steps work into a formidable plan. Take all the ideas you have had and write them down. Decide on a content (posting) schedule. Do you want to post 2 times per day or 3 or more? When do you want to post? Are you going to run a contest? If so, when? For how long? Are you going to run ads to help with your Facebook page visibility? 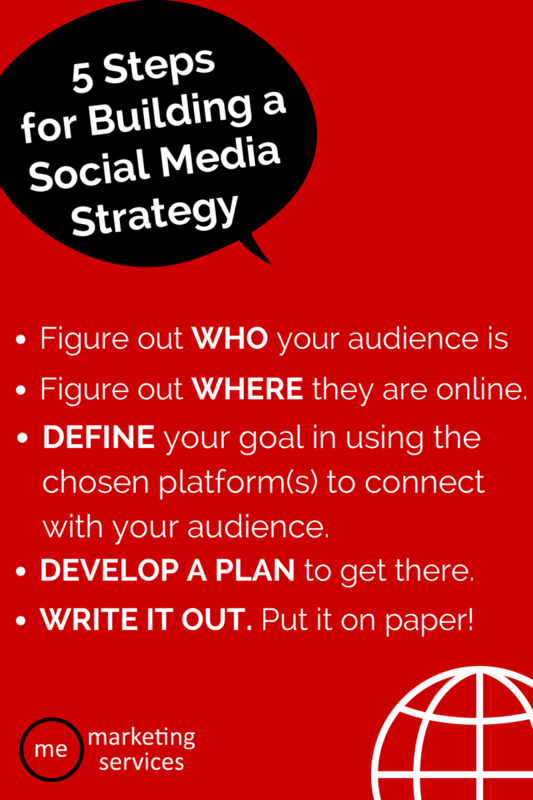 I see this step as laying out the road map for your social media marketing efforts. Having a written (or typed) out plan will help you achieve your goal(s). Pin it up somewhere you will see it and act on it. There’s nothing worse than putting time and energy into a plan and not acting on it. How else would you go about creating your social media strategy? 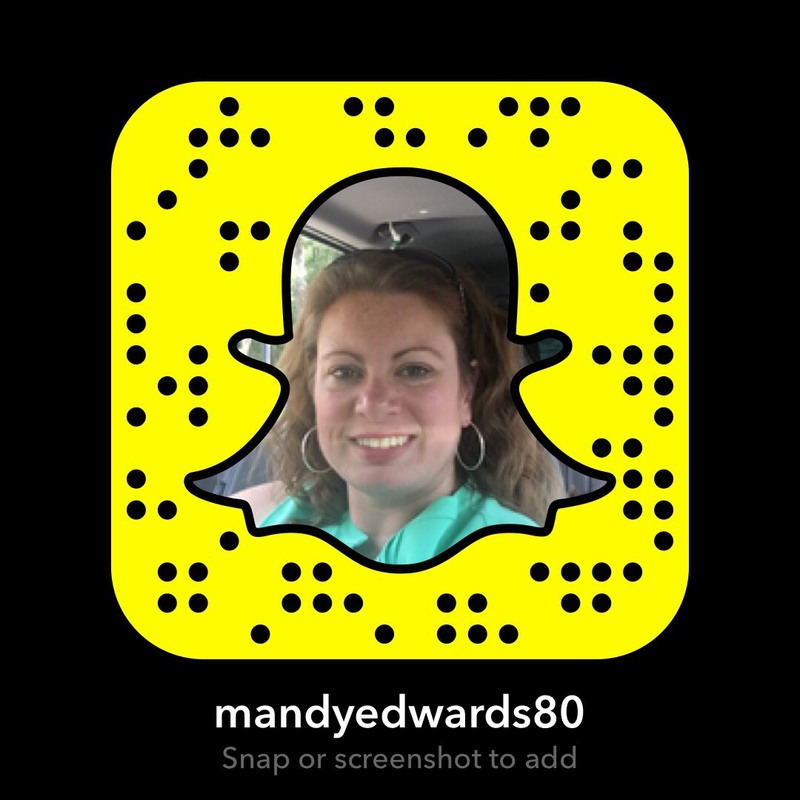 Ask Mandy Q&A: Why Should I Hire Someone to Handle My Social Marketing? Why should I hire someone to handle my social marketing and where should I look? This is one person who is dedicated to expanding your brand online. Your SMM (social marketing manager) will be the one who seeks out new followers and fans. They market you online to their network and friends. Your SMM will be your business’ cheerleader. Ahh, they work so you don’t have to think! SMMs create exciting content that prompts response. With some direction from the business owner or not, they will shoulder the majority the work for you. I see it as a partnership, so do expect to participate in some manner. What business owner wouldn’t want more time to help run their business? With a SMM, they do exactly that. You won’t get stuck on Pinterest for 3 hours looking at home decor or recipes (oh come, you know you do!) while you’re supposed to be entering yesterday’s sales! Sounds good, doesn’t it? The internet is crawling with social marketing professionals, but I suggest you do your homework first. Look for someone with experience and has a good following on all the social platforms. When investing money in this, you want to make sure they are qualified and are reputable. Your business depends on it. Search various related keywords such as “social media strategist”, “social media consultant” or “social media manager”. It will pull a list of professionals in those fields. You can tailor it to your geographic area or it can be worldwide. LinkedIn gives you a great way to look at each person or company. You can see their work experience, their social media links and recommendations. After finding a candidate on LinkedIn, check out their other profiles – Facebook, Twitter, YouTube, Google+. You want someone who is practicing what they preach. This is key. There are a lot of fakes out there claiming to be experts. Don’t fall for it. 2. Look at all of their profiles…carefully. I just said there are fakes out there. Take a look at all of their social profiles. Are they claiming to be an expert, yet only have 25 Twitter followers? Do they say they are the leading thought-leader yet only have a single blog post to show for it? Make sure they are walking the talk. If they give you some bullcrap about how they put their clients first and don’t have time for their own business, call them out on it! THEIR business is their first client. If they can’t take care of themselves, how do you think they will take care of you!?! 3. Once you have someone you are interested in working with, schedule a time to talk. You want to get to know the person you chose. They need to get to know you and your business so they can accurately represent you and your business. You want your social marketing manager to understand the tone of the business. Do you take a more humorous approach? Maybe you are quite serious. If you are a medical business, your social marketing (or media) manager needs to understand how HIPAA plays in to it. If you do not have any social media profiles set up, you and your prospective manager can go over where you need to be and how often you need to post. If I have left something out, please add it in the comment section! I’d love to get your feedback.